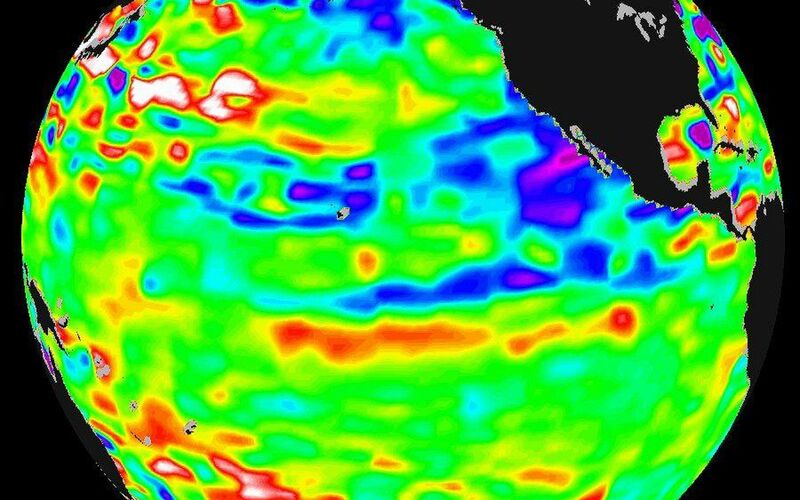 The Pacific Ocean doesn't show signs of anything that looks like the whopper El Niño of 1997-1998, according to the latest information from the U.S.-French ocean-observing satellite Topex/Poseidon. 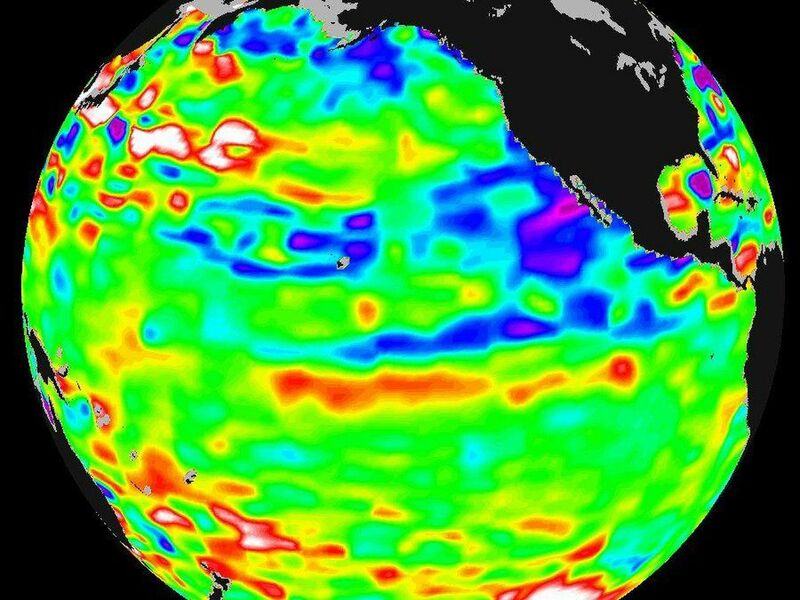 The data do show that the mid-equatorial Pacific Ocean has slowly warmed by about 1 degree Celsius (1.8 degrees Fahrenheit) above normal in the past few months. 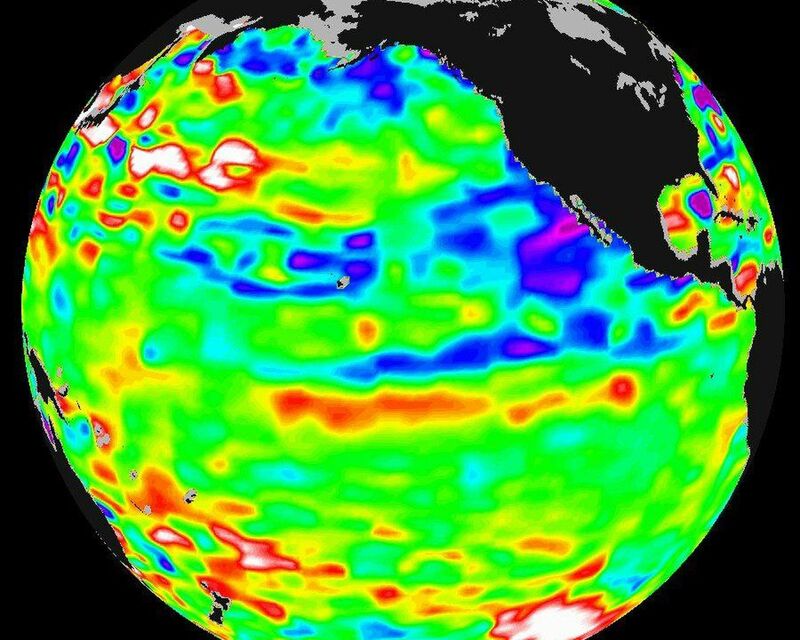 However, the Pacific continues to be dominated by the larger-than-El Niño /La Niña pattern called the Pacific Decadal Oscillation, which may discourage El Niño development. 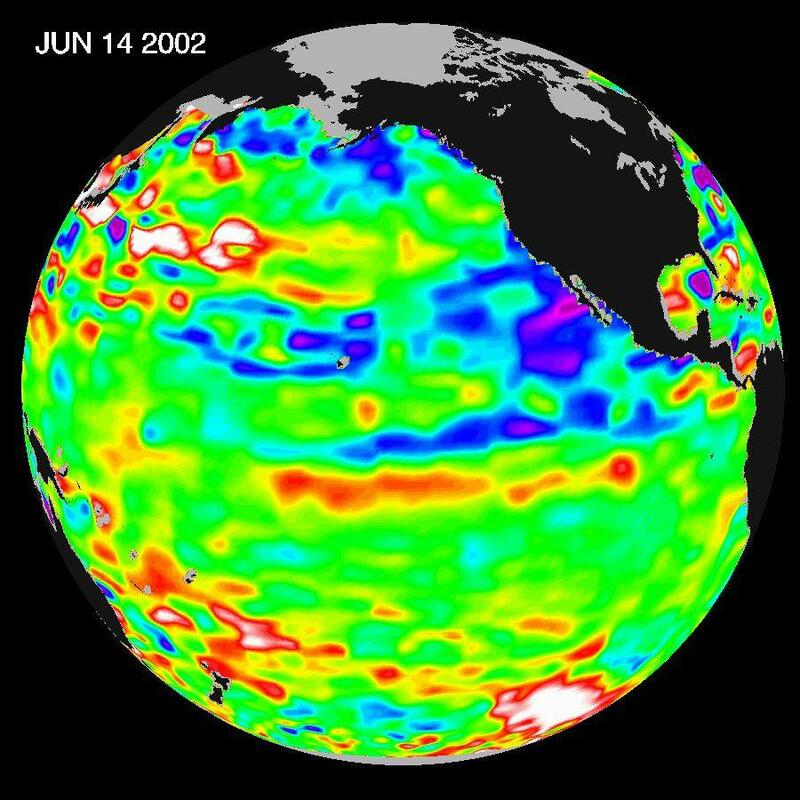 The Topex/Poseidon data were taken during a 10-day collection cycle ending June 14, 2002. They show that there hasn't been any fundamental change in the ocean's large-scale patterns for the past three years. The near-equatorial ocean has been very quiet, although sea levels and sea-surface temperatures are near normal or slightly warmer throughout the far western and central tropical Pacific. Red areas are about 10 centimeters (4 inches) above normal; white areas show the sea-surface height is between 14 and 32 centimeters (6 to 13inches) above normal. This warmth contrasts with the Bering Sea, Gulf of Alaska and U.S. West Coast, where lower-than-normal sea-surface levels (blue areas) and cool ocean temperatures continue. The blue areas are between 5 and 13 centimeters (2 and 5 inches) below normal, and the purple areas range from 14 to 18 centimeters (6to 7 inches) below normal.